In order to fully understand this post I highly recommend you read the other 3 connected posts. The links will open up separate tabs for you to do that. ‘Can you feel the Vibe?‘, ‘The Story of Matter: Part 1‘ & ‘The Story of Matter: Part 2‘. I want to show you something amazing. Have a look at this! Do you see that? It’s a bubble. Well more precisely it’s a sphere. Amazing isn’t it. Do you know what it represents? Let me tell you, but first let me help you imagine something first. Imagine you are standing in the middle of a large stadium. Perhaps one like any of these. Now imagine if you will that while you are standing in the middle of the stadium it was filled up to the brim with the spheres I showed you. Can you picture it? It’s sort of like you’re inside a giant ball pit. Now I’d like you to get a little creative with your imagination as you are standing in the middle of the stadium surrounded by these spheres. Can you do that for me? OK so you’re in the stadium and in pour the spheres. They’re all around you and pretty soon they fill the stadium up like a big bubble bath. Imagine that as soon as the stadium was full instantly at that moment the spheres reduced in size by 50%. Suddenly the stadium is less full right? So here’s the creative bit. Imagine this process of filling up and reducing in size by half kept repeating over and over and over again. Pretty soon those bubbly spheres are going to get tinier and tinier in size. But remember, your still standing in the middle of the stadium and these spheres are still surrounding you. The stadium keeps getting filled up with them, just like a bath tub. But every time it fills the bubbles shrink in size again. If you repeated this process of filling and shrinking these bubbles over and over and over again, billions of times do you know what you would end up with? Do you know how it would feel? How it would look? Surrounded by countless billions upon billions of tiny spherical bubbles. Let me show you. Can you see how different it looks? The above photo is a photo that someone has taken surrounded by these little tiny spheres. Can you see how different it looks to what you would see if you stood in the stadium yourself? You can’t see any difference? Do you think it looks exactly the same as if there were no bubbles inside the stadium? Very clever. You are correct, it looks exactly the same. However, did you realize that everywhere you go you are walking around (or perhaps swimming around is a better word) in all of these bubbles? Did you know that? Well you do now. Ladies and gentlemen please allow me to introduce you to the smallest thing in the universe. It is called the Planck Spherical Unit – PSU for short. These PSU’s are tiny and they are everywhere. The universe is filled with them. And when I say tiny, I mean tiny. Try and wrap your head around this for a moment. Inside the sphere below there is a dot. Can you see the dot? The dot is only 0.1mm in diameter. It is about the smallest thing that the human eye can see. The image next to it shows it under 250% magnification so you can see it more easily. Now think about this. I’m going to need your imagination again, I hope you don’t mind. Imagine, if you can, to the best of your ability, just how unfathomably large the universe is. Just for a second, really try and wrap your brain about it. Take your thoughts out beyond the solar system, beyond the Milky Way, beyond the Virgo Supercluster all the way to the very edges of the universe. It’s huge right? Mind bogglingly huge. 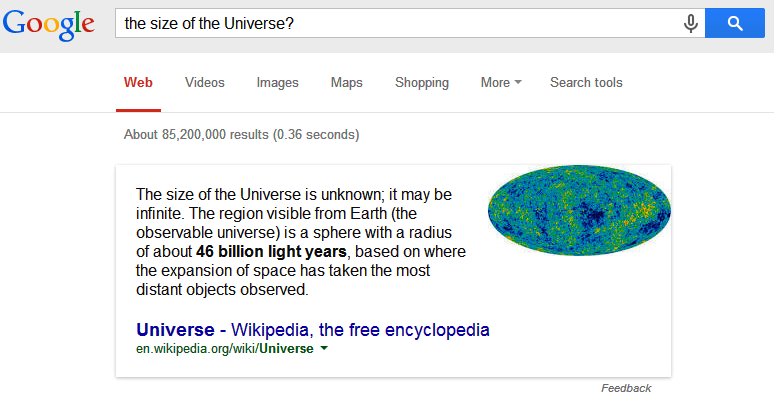 Now compare the size of this unfathomable universe to the tiny dot in the middle of the bubble above. There’s a big difference between the 2 right? An enormous difference. OK, have you got that thought in your mind? The universe is to the tiny 0.1mm dot as the dot is to the PSU. Let me repeat that in a slightly different way. The tiny 0.1mm dot is the equidistant central point (size wise) between the PSU and the universe as a whole. That is how tiny, tiny, tiny a PSU is. It’s mind bending isn’t it? But these things are everywhere. They surround us. They are us. Everything in this dimension of the whole wide wonderful universe is made up of PSU’s. We are all just one big can of PSU soup, if you want to think of it that way. These are the smallest possible things measurable to mankind. You remember in my post ‘Can you feel the Vibe?‘ I said that the smaller the item the faster its relative speed of vibration. So under that principle these PSU’s are the fastest vibrating thing that exists in the whole universe. Why is that important? Because PSU’s are the fabric of what we know as space time. I used it to help describe the phenomena whereby the faster something vibrates (ie the speed it travels from point A to point B and back again) the closer and closer the object can be said to be at a state of rest. So if PSU’s are the fastest moving things in the universe then is stands to reason that they could also be described as the slowest moving thing in the universe. I mean if they are infinitely fast they must to any observation look to be in a state of rest, being both everywhere and nowhere at the same time. So if you will, allow this thought to just sit with you. Live in the question remember. I will leave you with one final tidbit of information for today. Do you remember in my post ‘Understanding the 4%‘ I discussed the 4 states of matter. Solid, liquid, gas & plasma. Remember I said that in reality the only difference between each state was the amount of energy contained within the matter. Less energy = more solid, more energy = less solid. Did you know that only recently science has been able to confirm the existence of a 5th state of matter? Do you know how they found it? Science has finally developed the technology to be able to test an ages old theory about this state of matter. They have proven it’s existence. It’s a state of matter that might change everything about the way we look at the universe. This new state of matter is something I will tell you about next time……….somewhere in Brett’s Future. Stay tuned, the way this state of matter behaves might just blow you away. I can feel your vibes increasing already! Mine are too! UPDATE: ‘The Story of Matter: Part 4 – The 5th State‘ out now, click on the link to read. If you want to hear some more information about these things have a listen to the amazing Nassim Haramein discuss the quantum field. This man is revolutionizing quantum physics with his methods. Have you ever noticed that the smaller something is the faster its relative speed? All of these examples show a natural, dare I say universal, commonality. This universal principle might be summarized by the following simple statement. The bigger the object is, the slower its relative speed appears to be. The smaller the object is, the faster its relative speed appears to be. Does this statement make sense to you? I’m sure that there are many other examples of this phenomenon that could be sighted. You can probably think of a few yourself. This universal principle is such a fundamental thing to understand because everything, and I mean everything, in our magnificent universe is affected by this principle. Did you also know that an object can also be sped up so fast that it can appear as if it were at rest? For example, take a wheel, you probably see this illusion all of the time, if the wheel is spinning at the right speed what happens? Check out this video and see (watch as the dial on the right increases the RPM’s). With this example it actually shows that speed is circular not linear. You can speed up so much as to hit the point of rest (the speed of the object is so fast that it is has the identical properties as a body at rest). If an object was moving back and forth between two points (such as the dot in the animated .gif at the top of the post) with such speed that it reached point A and point B within an infinitesimally small difference in time an observer would say that the object was at rest. Moreso, the observer would say that the object was at both points (and everywhere in between) simultaneously. At such high speeds you could almost say the the object was both everywhere and nowhere simultaneously because both statements would be true. So what do these thoughts about speed have to do with the universe & why is it important? Because speed as measured as vibration (ie the movement of an object back and forth between two points) is what is happening to every single thing in the whole universe. You’ve heard of this haven’t you? That everything in the universe is vibrating? I mean we already know that this is true for every single atom on the elementary table. So at the very least we know that it is true for the human experience. We know that everything on Earth is vibrating. Are we in agreement? If you have any doubts, just live in the question as I always say. I’m sure that you also are aware that vibration is a form of energy. Or is energy is a form of vibration? Either way energy and vibration are inter-related. So the smaller the object the faster its relative speed/vibration (the electron v’s the planet remember). It also means that the faster its relative vibration proportionally the more energy it contains. That is why there is so much power emitted when splitting the atom, the energy held within is so enormous. Everything in the universe is vibrating. The smaller the object the higher the relative speed of vibration. The higher the vibrational speed the more relative energy is at play. I know it sounds like I’m repeating myself, I just want to make sure you understand the points I’m making about speed, vibration and energy. Did you know that it is the relative vibrational speed, or more precisely the relative energy (resulting from or caused by that vibration) that forms the basis of all matter everywhere in the whole wide ginormous universe that we call home? You didn’t? Well you’re in luck! Stayed tuned because I am going to explain something to you about matter and the universe that I suspect you may never have heard of before. Hang on to your hats, the Story of Matter is coming to you in the very near Brett’s Future*. Remember, everything & I mean everything is connected. Soon you will realize exactly what I mean when I say that. Thank you for reading, you have my utmost gratitude. Hey Universe! I’m not impressed! G’day, great to have you back again. Did you see that video showing how big the Universe is? Wow, pretty awesome huh? After watching that video you know what conclusion I came to? I don’t mean I’m not impressed in that ‘I’ve seen bigger’ kind of way. I know that kind of look (don’t ask). No, I mean I’m not that impressed in the ‘I just don’t get it, so leave me alone my brain hurts’ kind of way. Now I can do the whole, wow that was cool kind of response when I watch that video and then move on to the next thing on my mind as well as anyone can. But this time I decided not to. I said to myself – now Brett, you owe it to yourself as a citizen of the Universe to at least spend a little time trying to get your brain around the enormity of that freakin’ thing. So I tried. I sat down, took a deep breath and tried as hard as I could to understand it, to ‘know’ it. Well maybe not ‘know’ it in the sense that I ‘know’ that 2 + 2 = 4 but perhaps in the sense that I ‘know’ that the Earth is spinning at 1,675 kilometers per hour (that’s 465 meters per second people! – see I just moved half a kilometer in the time you took to read this). So I sorta ‘know’ that fact ’cause I’ve seen animated .gifs showing it. It’s not because I really ‘know’ it, I just choose to accept it and I do my best to get my head around what that actually means. I sorta ‘know’ what it means. I’ve traveled fast in airplanes before so I get the gist of speed (a 747-400’s top speed is around 920 km/h or about 55% the speed of Earth’s spin at the equator). So when it comes to how awesomely big the Universe is I ‘know’ it because I’ve seen video’s like the one I posted. I ‘know’ space, I see it all around me. For example, I’m 195cm tall (let’s call it 2 meters) and being that tall means that at sea level I can see the Earth for a whopping 5.1km before the horizon drops away (sorry if you’re vertically challenged, you see a little less). Now I’ve traveled lots in my life and have done plenty of 5km trips. So when I visualise in my mind the distance to the horizon, I get it, I mean I ‘know’ it. My mind can grasp that. I hear you, 5 kilometers isn’t very far and you’re right. But I’m trying to form a clarity in my mind of the space of that distance. I’ve physically experienced that distance so it is a meaningful concept to my brain. 5 kilometers is the distance covered to cross the Sydney Harbour Bridge 4.35 times. I ‘know’ that distance. Now when I think about space, you know, that stuff you see when you look up at night (especially away from city lights) that meaningful concept that I had in my brain previously does its utmost to work its magic and help me to ‘know’ (I mean the 2+2=4 or crossing the bridge a few times kinda ‘know’). “So space, you big colorful twinkling thing you, how’s it going?” I ask this as I look up at the night sky. Space doesn’t answer. She’s ignorant of me I guess. I mean, I’m just this little tiny speck after all. But I shrug my shoulders and say, bugger it, I need to know more. So I persist. “Hey, how far away are you?” I try a different tact to get her attention. All those twinkling stars taunting and teasing me, saying ‘look at me, look at me’ and I do, but they don’t answer my question. I still don’t know how far am I really seeing when I look up. I asked myself the question, if 5 kilometers is the farthest distance that a person can see to the horizon of our planet what is the farthest that a person can see (unassisted) into space? When we look up and see those twinkling stars how far are the farthest away? So I did what I had to do, I dropped my head in recognition of the enormity of the question I was asking her. Since she wouldn’t give me an answer I did what any sane person would do. Wow, that sounds like a big number doesn’t it? I mean 2.5 by itself is not a big number. Like 2.5 centimeters is about 1 inch, not so big. But 2.5 million inches sounds alot. So Google says Andromeda is 2.5 million light years away, how far is that? I mean really, how far? I was determined not to flick this answer off. So I tried my best to ‘know’ the answer. OK smarty pants, whats a light year? Oh-O, hello Google…. Ladies & gentlemen your amazing sense of sight can see for at least……..
Now that’s 4,800,000,000,000,000,000 (4.8 quintillion) trips to the horizon and back. Phew, makes my head hurt just thinking about it. So if the whole point of this was to try and ‘know’ the the size of the Universe well, I’m afraid I’m off to a bad start. You see, I don’t know about you but if I can borrow the all time classic line, for I am truly ‘Lost in Space’ because ‘that does not compute’. What do you think robot? So I’m sitting there in stark realization that I’m already a long way from being able to ‘know’ the Universe because I’m only out as far as Andromeda and already I feel totally inadequate in my ability to ‘know’ that distance. Do you want to know how big the Universe is? Well the farthest we can see unassisted is pretty much 24 with 18 zero’s after it, but that is nothing, I mean nothing, compared to the whole (observable) Universe. So when I say “Hey Universe, I’m not impressed.” I mean it. My brain cannot fathom the enormity of what you truly are. Your truth, well I just cannot form an appropriate impression of it in my brain. I’m sorry to tell you that Universe. Please don’t be offended, you are still one of my all time favorite things in well the universe. However, you’re just so big. So I will remain forever in awe of your awesomeness but if you don’t mind, I might just try to think about the Universe within for a little while. Maybe that will make more sense. More thoughts perhaps for another day somewhere in Brett’s Future. Ladies & Gentlemen – Our Universe. I now know what it is to be awed. The mere mental effort to attempt to fathom the enormity without and the enormity within. I mean it leaves one with well, a nonsensical sensation in the brain that I can only attribute to being something approaching the condition best known as awe. Now, thank you very much for your valuable time. I am most honored you chose to spend 5 minutes with me. It’s just that well I thought that the video just had to be shared.